Mele Kalikimaka folks! I hope everyone had a great Christmas! 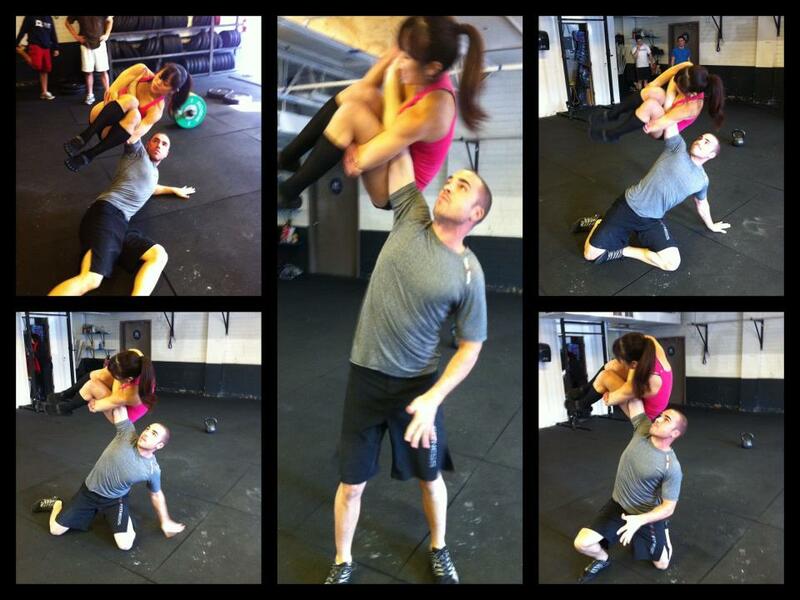 Yesterday, I went over to FGB Hawaii Kai to do the 12 Days of Christmas WOD! Big mahalo to Jack and Danyelle for opening their home gym on Christmas!!!!! It was really great to workout with friends and meet new people! I am going home to Hawaii for the holidays today!!! So excited!!!! I had a few requests for a "what to pack," CrossFit-style post. Also, as I was packing I realized that more than half the items I put in my suitcase were for CrossFit purposes so here's the post! Yoga and CrossFit. Not sure if I can do that now. Before CrossFit, I was reallyyyyyyyyyy into yoga, specifically Ashtanga yoga. I used to randomly pick a pose from 608 Yoga Poses and attempt to do it after class each day. I used to go 6 times a week! Over the past months, my fitness interests changed. As I attended more CrossFit classes, I skipped more yoga classes, until my yoga attendance hit zero. After ditching yoga for a few months, I noticed a dramatic decrease in my flexibility and increased healing time for body aches and pains, specifically in my lower back. When one of our trainers told me I might have shoulder flexibility issues in my front squat, my immediate reaction was oh HELL NO. After class, my mind was busy processing a whirlwind of thoughts. What benefits did yoga have on me when I practiced it? Were there any movements I could perform better before, than now? Ripped dude rocking the rings. 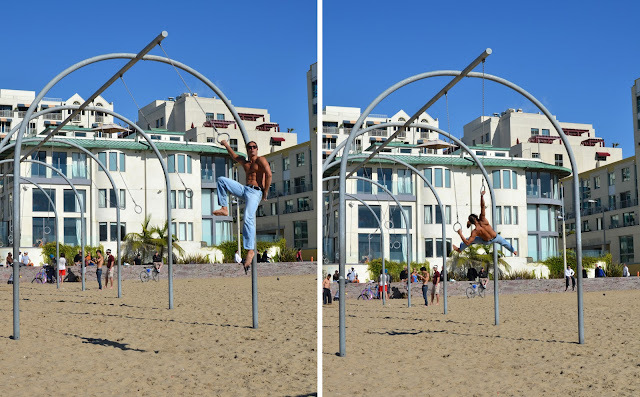 Every time I go down to LA, I try to hit up Muscle Beach in Santa Monica... even before CrossFit. Except now I can do more than play on the swings! This is probably one of my favorite places to hang out in southern California. I like the atmosphere and I enjoy people watching, meeting people, and testing my physical capabilities here. Rings + beach + nice weather + real sand, what more can I ask for? !